• Model Available : 142mm & 293mm Dia. • M.O.C.S.S 304 / 316 / 316L. 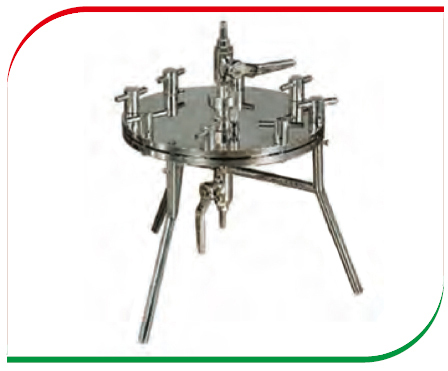 • It is provided with Center and Non Sticky S.S. Perforated Sieve, Silicon ‘O’ Ring Detachable S.S. Stand and with Inlet Outlet Connection etc.